The S.C. Department of Natural Resources (DNR) is pleased to announce the First Annual DNR Youth Sporting Clay Open will be held at the Palmetto Shooting Sports Complex in Edgefield on Saturday, April 18, 2015. With about 450 youth shooters competing, the First Annual Youth Sporting Clay Open event is available to all school and club teams. The event is fully funded and will allow more youth shooters from across the state the opportunity to participate in the shooting sports without the large financial obligation that often acts as a barrier. DNR along with their many sponsors will be giving away over $23,000 in scholarships, guns, and trophies at this event. The Palmetto Shooting Sports Complex is the result of a joint effort between DNR and the National Wild Turkey Federation (NWTF). The Palmetto is located at 535 Gary Hill Road, Edgefield. 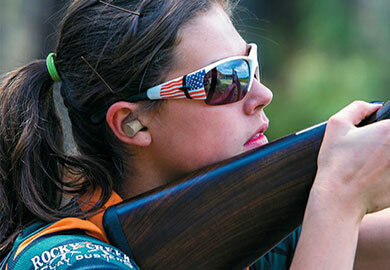 Offering great opportunities for youth to become and stay involved in the shooting sports, DNR supports its longstanding commitment of 4-H Shooting Sports, Scholastic Clay Target Program (SCTP), and SC Youth Shooting Foundation (SCYSF). This event will allow school teams and shooting clubs to compete within their own separate divisions. The agency continues its mission to safely introduce youth to the shooting sports through a proven formula of partnering with the educational system to support scholastic shooting sports (in both archery and clay target) through a safe learning environment. For more information on starting a DNR Scholastic Clay Target Sports school team, please contact the State Shooting Sports Coordinator Ryan Bass by phone at 800-277-4301, by email at BassR@dnr.sc.gov.